Personal Watercraft and Jet Ski Repair Manuals: Kawasaki, Polaris, Sea-Doo, Yamaha. The Clymer and Seloc Personal Watercraft repair manuals we offer are intended for the do-it-yourself mechanic. 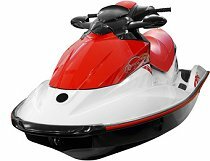 They all feature clear, step-by-step detailed instructions, with sequential photos and diagrams, so you can do your own PWC or Jet Ski maintenance and repairs. You'll find several different models here, from a Yamaha WaveRunner manual to a Sea-Doo service manual. Sea-doo manuals, as with repair manuals for Kawasaki, Yamaha and Polaris PWCs, are available for different model years. Personal watercraft are a blast! ...as long as they're running properly. Like with all motorized vehicles, periodical service and maintenance are crucial for your PWC to operate as intended by the manufacturer. Not only will your personal watercraft perform better. Regular maintenance will save you money (and possibly headaches) in the long run. Clymer and Seloc offer some of the best aftermarket personal watercraft manuals available today. Packed with easy to understand text instructions accompanied with clear photos and illustrations, these how-to books can help you perform maintenance and repair jobs, from the simplest such as an oil change, to the more complex projects, like rebuilding the engine. Having the right Jet Ski repair manual by your side will ensure that you perform the work correctly. Having a personal watercraft that is running as it should is much more fun than standing by the shoreline watching friends riding theirs.